Long, tear-shaped, concave, plain discus has narrow, rounded framing ring; small slit for airhole at font in apex. Small ovules on discus. Wide volutes above nozzle. Fabric: 2.5Y 7/3, pale yellow. Very fine, hard fabric has rare to uncommon, small, angular to subangular, white (calcitic) and black inclusions; rare voids opening at surface. 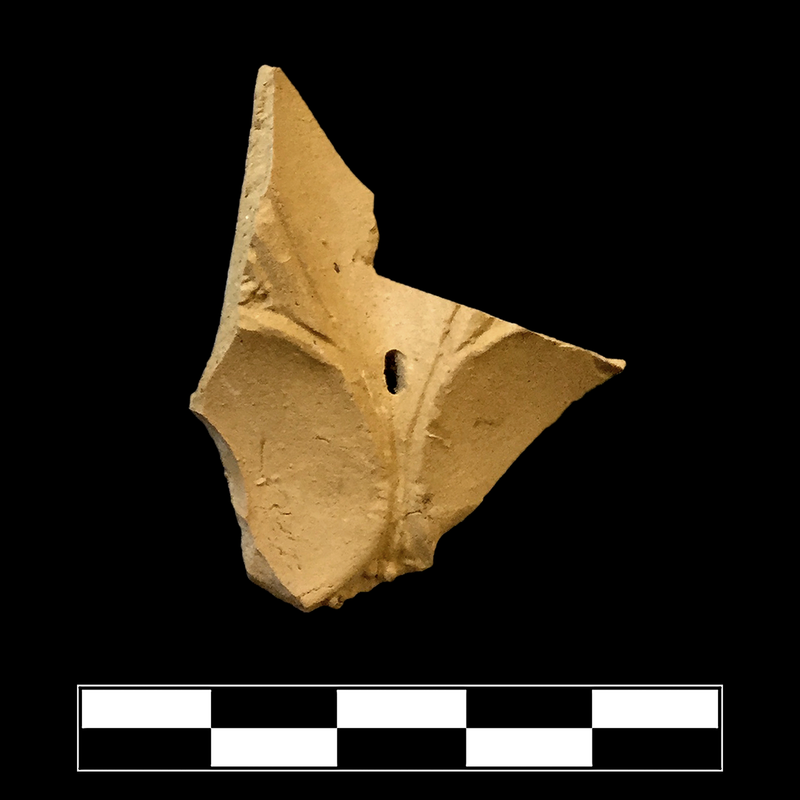 Early Roman Corinthian lamp fabric with slightly greenish hue. 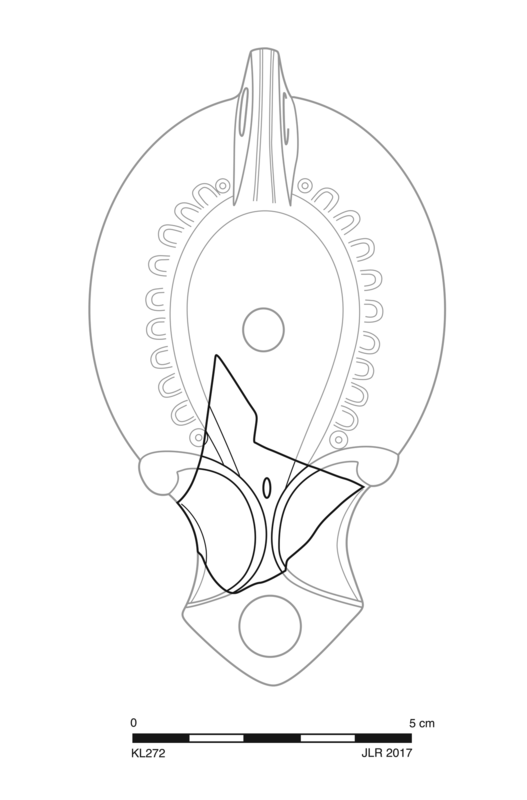 One fragment preserves small part of front discus and upper nozzle. Very slight, sparse chipping.